Valeria Montes has been described as “mesmerizing” by the Detroit Free Press and “beauty in motion” by the Metro Times. She is known as La Chispa (the Spark) for her passionate and vibrant interpretation of Cante Flamenco (flamenco song) and for her complex rhythmic zapateado. Born in Mapimi, Dgo., Mexico, Montes began her dance studies at the age of five in her native Mexico studying ballet, baile folklorico, and gymnastics. At age of 20, she moved to Michigan, USA where she started dancing Spanish classical dance with local instructor, Maria Del Carmen Montes. Eventually, Montes moved to Spain to immerse herself in the world of flamenco and was very fortunate to study with legendary families and artists of flamenco: Farruco Family, Carmen Ledesma, Concha Vargas, and Miguel Vargas. She has also studied cante flamenco with Esperanza Fernandez, which she feels is vital for dancers to do in order to understand the art form in a more profound way. In 2010, Montes won the prestigious Kresge artist fellowship for Performing Arts. She is co-founder of the Center of Music and Performing Arts Southwest (COMPAS) where she continues to teach community workshops in Michigan. Valeria now serves as Executive and Artistic Director of Casa Flamenca in Albuquerque, NM where she is also a full-time instructor. Juan Francisco Gonzalez Caballero (Juani de la Isla) is a highly respected and world-renowned ‪flamenco guitarist from the island of San Fernando near the port city of Cádiz, in southern Spain. 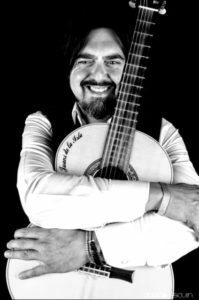 He began his musical education studying with the great ‪flamenco singer Rafael Romero and has been a student of the celebrated ‪flamenco guitarist ‪Manolo Sanlúcar. 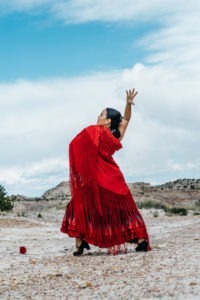 Juani de la Isla has also been trained in the gypsy ‪flamenco style of “Morón” – a small pueblo in the heart of Andalucia’s ‪flamenco country. Spain: Santiago de La compostela International Jazz Festiva for the Escuela – Taller de Músicos. as well as in many other music schools around the world. The City of Albuquerque- UETF Urban Enhancement Trust Fund.